North Carolina ranked No. 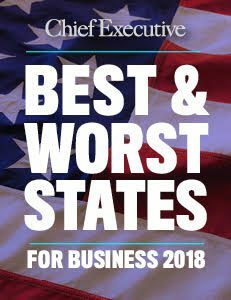 3 in the nation in Chief Executive’s 2018 Best & Worst States for Business survey with a bright future in manufacturing and tech. GE Aviation, Egger Wood Products and Albaad have announced new plants or expansions in the past year. The state’s new NC Job Ready initiative aims to cultivate the state’s educational attainment and workforce development. Job Development Investment Grant: A performance-based, discretionary incentive program that offers cash grants to new and expanding companies. Amount is based on a percentage of personal income tax withholdings associated with new jobs. Manufacturing Tax Exemptions: Offers a variety of sales and use tax exemptions for machinery, equipment, electrical, fuel, raw materials, inventory and property. One North Carolina Fund: Discretionary cash-grant program enables the governor to quickly respond to competitive job-creation projects based on number of jobs, level of investment and economic impact. Transformative Project–Job Development Investment Grant: Performance-based, discretionary program that offers cash grants to help offset the cost of locating or expanding in the state. Any company that creates 3,000 jobs and invests $1 billion can receive up to 90% of personal income withholdings for up to 30 years. Gov. Roy Cooper announced in February 2018 the NC Job Ready initiative with a focus on skills and educational attainment, employer leadership and local innovation. The $60 million fund offers financial assistance for job training in high-demand fields, grants for students nearing completion of degrees and an employer training fund to assist with workplace needs. Engineering firm Corvid announced in March it will invest $28.9 million in a new headquarters in Mooresville and create 367 jobs. Egger Wood Products from Austria announced in April a $700 million composite panel plant in Davidson County. It is expected to create 770 jobs. Ipreo U.S., a global provider of financial services, technology, data and analytics, announced it will add 250 jobs in Wake County over the next four years. Israeli manufacturer Albaad announced in April 2018 a $45 million expansion of its operations in Reidsville and 302 new jobs. AveXis announced in May 2018 a $55 million gene therapy factory in Durham County that will add 200 jobs. Amada North America announced in May 2018 a $87 million sheet metal fabricating equipment plant that will create 201 jobs. Publix announced in August 2018 a $300 million distribution center in Greensboro that will create up to 1,000 jobs.